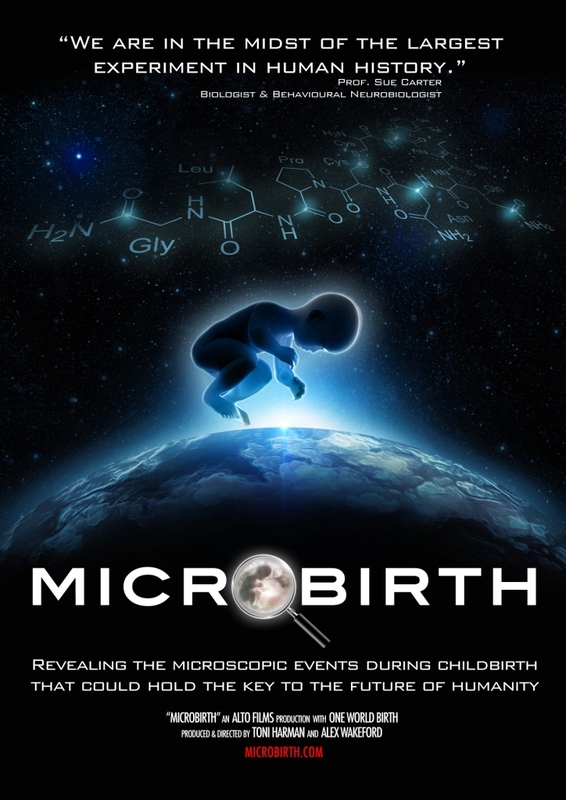 MicroBirth is a feature-length documentary - through the lens of a microscope, investigating the latest scientific research - asking if interventions in childbirth could be damaging the long-term health of our children with consequences for all of humanity. The documentary film was premièred worldwide on Saturday 20th September 2014. Project World Peace presented a global première from 2-3 pm at The LifeCare Centre, 2 Cheyne Street, Stockbridge, Edinburgh EH4 1JB. Entry to the public was free. It was one of over 1,000 screenings worldwide. Learn more here or here, in the following videos, or scroll down. Available to rent or purchase here. Scientists researching the human microbiome are starting to make startling discoveries. One of these discoveries is the connection being made between the way a baby is born and its future health. Amongst other scientists from the UK, Canada and the United States, the film features an Ivy League professor, Professor Dietert, who has spent his whole career studying the developing immune system. He explains that a baby has the best chance of a healthy immune system when it is born by natural vaginal birth, then has immediate skin-to-skin contact and is breastfed. In this way, the baby is properly seeded with the mother's own bacteria and the baby's immune system can reach full "completeness". Consequently, that baby has significantly less risk of developing a non-communicable disease in its lifetime. That baby will be stronger and healthier. But medical interventions such as use of synthetic oxytocin, antibiotics, C-section and formula feeding interfere with or completely bypass the natural processes of childbirth. As "MICROBIRTH" shows, the latest science is indicating that these interventions are affecting the development of a baby's immune system. The result is the immune system may not develop to its full potential. It is "incomplete", leaving the baby's defense system compromised, weak and open to attack. If your immune system is not fully developed and is left "incomplete" because of the way you are born, you are at much higher risk of developing a serious non-communicable disease later in life. And not just one disease. If you develop one non-communicable disease, you are at much higher risk of developing multiple other diseases throughout your lifetime. As Professor Dietert explains, with medical birth intervention rates skyrocketing, this could mean more babies are being born with incomplete immune systems. As they grow up, this could mean more of our children will develop non-communicable diseases in their lifetimes. It's not just the immune system that may be affected by interventions in childbirth. The film features other academics researching the potential long-term effects of synthetic oxytocin in childbirth. These scientists are making startling discoveries, discoveries that may have implications for the future health of our species. Magic Bullets for Babies - Microbiome. A guide to your microbiome (New Scientist). More than half your body is not human (BBC). How bacteria are changing your mood (BBC). Good bacteria: Why I put my poo in the post (BBC). Why a faecal transplant could save your life (BBC). What does a faecal transplant do? (BBC). Poo and Nirvana (William Bloom). Homebirth and the Microbiome by Jan Tritten (Midwifery Today).